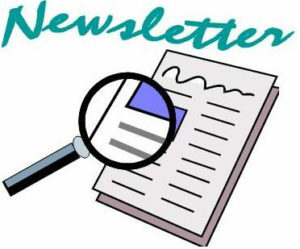 OUR EMAIL ADDRESS IS dunnvillehort@hotmail.com BE SURE TO CHECK OUT OUR WEB SITE FOR PAST ISSUES OF MEETINGS AND NEWSLETTERS. THE ONTARIO HORTICULTURAL ASSOCIATION HAS SET UP AN EMAIL DISCUSSION GROUP ON GOGGLE.THIS IS A PLACE FOR SOCIETY MEMBERS TO DISCUSS TOPICS ABOUT THE O.H.A. IF YOU HAVE QUESTIONS ABOUT THE O.H.A. PROGRAMS, FORMS, AWARDS OR GRANTS.TO JOIN THE DISCUSSION GO TO http://groups.goggle.ca/ ALL MEMBERS WELCOME. IF YOU KNOW OF A SIGHTING OF GIANT HOGWEED AND WISH TO REPORT IT, THE ONTARIO MINISTRY OF NATURAL RESOURCES IS MAPPING GIANT HOGWEED POPULATIONS. YOU CAN REPORT IT ONLINE AT http://www.invadingspecies.com/Invaders.cfm?A=Page&PID=31 FOR ADVICE ON REMOVAL. THE AGRICULTURAL AND HORTICULTURAL ORGANIZATIONS ACT. WHAT DOES IT MEAN FOR YOUR SOCIETY? THE OHA IS AN ORGANIZATION COMPRISED OF 286 SOCIETIES AND 28,000 MEMBERS THAT INCLUDE HORTICULTURISTS, MASTER GARDENERS, AND PERSONS WHO JUST LOVE GARDENING, NATURE, AND PROTECTING THE ENVIRONMENT. THERE IS A CONVENTION EACH YEAR, NOT ONLY FOR GOVERNANCE, BUT ALSO TO BRING TOGETHER TO TALK, LISTEN, VOTE ON ISSUES, AND ENJOY THE TIME TOGETHER. IT IS A TIME TO LEARN MORE ABOUT WHAT OTHERS ARE DOING AND NETWORKING. YOU CAN ONLY DO THIS IF YOU ATTEND. IT IS IMPORTANT THAT MEMBERS PARTICIPATE. IF YOU CAN NOT ATTEND, THEN MAKE SURE YOU MAKE USE OF YOUR PROXY VOTE. EACH SOCIETY HAS A NUMBER OF PROXY VOTES BASED ON THE GROUP’S TOTAL MEMBERSHIP. THIS ENABLES YOU TO AUTHORIZE SOMEONE ELSE, USUALLY A DISTRICT DIRECTOR TO VOTE ON YOUR BEHALF. THE ACT WAS ADOPTED IN 1988 AND UPDATED IN 1990. IT IS A LEGISLATION THAT PROVIDES LEGAL STATUS AND DIRECTION FOR BOTH AGRICULTURAL AND HORTICULURAL SOCIETIES.THERE WERE 3 ACTS PRIOR TO 1988 THAT BECAME ONE. SOCIETIES AND THE OHA ITSELF ARE CORPORATIONS WITHOUT SHARED CAPITAL.THE ACT PROVIDES THAT NO COMPENSATION SHALL BE PAID TO DIRECTORS OR OFFICERS OR MEMBERS OF SUCH ORGANIZATIONS OTHER THAN THE TREASURER, SECRETARY OR SECRETARY/TREASURER AND THAT COMPENSATION FOR THESE OFFICERS IS NOT MANDATORY.BEING DESIGNATED A CORPORATION OFFERS OFFICERS, DIRECTORS, AND MEMBERS A LIMITED LIABILITY AND MEANS THAT INDIVIDUAL MEMBERS ARE NOT PERSONALLY LIABLE IN CERTAIN INSTANCES.IT DOES NOT MEAN ITS MEMBERSHIP IS NOT RESPONSIBLE FOR THE ACTIONS OF THE CORPORATION (OFFICERS) BUT DOES PROVIDE SOME PROTECTION FOR THE MEMBERSHIP.MANY INSTITUTIONS THAT PROVIDE GRANTS WILL ONLY CONSIDER GRANT APPLICATIONS FROM AN INCORPORATED ORGANIZATION. THE ACT OUTLINES THE OBJECTIVES FOR HORTICULTURAL SOCIETES, SECTION 36 AS SHOWN BELOW. BY ENCOURAGING THE PLANTING OF TREES, SHRUBS AND FLOWERS ON PUBLIC AND PRIVATE LAND. BY PROMOTING BALCONY, COMMUNITY GARDENING AND OUTDOOR BEAUTIFICATION. BY ARRANGING FIELD TRIPS, CONTESTS, COMPETITIONS AND EXHIBITIONS RELATED TO HORTICULTURE AND AWARDING PRIZES. BY DISTRIBUTING SEEDS, PLANTS, BULBS, FLOWERS, TREES AND SHRUBS. BY PROMOTING THE PROTECTION OF THE ENVIRNMENT. BY PROMOTING THE CIRCULATION OF HORTICULTURAL INFORMATION THROUGH THE MEDIA. BY STIMULATING AND INTEREST IN THE STUDY OF HORTICULTURE. THURSDAY SEPTEMBER 16TH AT 7:00 P.M. GRACE UNITED CHURCH SPECIAL SPEAKER WILL BE KAREN VERMEER OF VERMEER’S GARDEN CENTRE IN WELLAND. TOPIC WILL BE PATIO CONTAINER DEMONSTRATION. 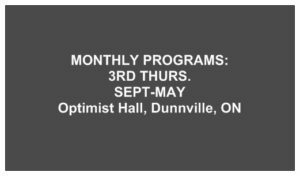 SATURDAY SEPTEMBER 25TH; ONTARIO HORTICULTURAL DISTRICT 9 FALL FORUM WILL BE HELD AT HOLY ROSARY HALL, 35 QUEEN STREET THOROLD. THEME IS “THRU THE GARDEN GATE” SPEAKERS; MELISSA ACHAL,BUSY BEE LAVENDER FARM AND TONY POST OF COLES NURSERY. CONTACT SECRETARY DORIS THOMSON IF INTERESTED IN ATTENDING. THURSDAY OCTOBER 21ST AT 6:00 P.M. WILL BE OUR ANNUAL POT LUCK SUPPER. YOU WON’T WANT TO MISS THIS AS WE HAVE SUCH A VAST DISPLAY OF CASSEROLES AND SCRUMPOUS DESSERTS, SERVED WITH TEA AND COFFEE AND WE WON’T HAVE TO CLEAN UP THE DISHES! PLEASE BRING YOUR FAVOURITE DISH. KIM CHRISTOFF WILL SPEAK ON TRILLIUM AWARD WINNERS, WHOM HAVE BEEN INVITED. SPECIAL SPEAKER WILL BE DENNIS FALLAT WHOM WE ALL ENJOYED SO MUCH LAST YEAR. NOMINATIONS WILL BE CONDUCTED FOR DIRECTORS AND EXECUTIVE FOR 2011. REMEMBER TO KEEP TRACK OF YOUR VOLUNTEER HOURS AND RETURN THEM TO OUR PRESIDENT JUDY JEFFERY EACH MONTH. THESE ARE SUBMITTED AT THE END OF THE YEAR TO OMFRA AND VERY IMPORTANT CONCERNING OUR GRANT EACH YEAR. FORMS ARE AVAILABLE FROM SECRETARY. MEETING OPENED BY PRESIDENT JUDY JEFFERY WITH A WARM WELCOME TO ALL. ATTENDANCE WAS 22. PRESIDENT JUDY ADVISED MEMBERS TO TAKE FREE GARDENING MAGAZINES, AND MANY HELPFUL GARDENING TIP SHEETS ON THE BACK TABLE AND ALSO THE T-SHIRTS AND APRONS THAT ARE FOR SALE. INTRODUCTION WAS MADE TO BETTY BALLANGER, IN CHARGE OF WAYS AND MEANS TABLE, SELLING TICKETS AT 3 FOR $1.00 ON THE MANY DONATED PLANTS AND ASSORTED ITEMS. WELCOME EXTENDED TO NEW MEMBER ART VANVERBEEK. MINUTES READ: MINUTES OF OUR AUGUST MEETING WERE READ BY SECRETARY DORIS THOMSON READ THE MINUTES OF OUR AUGUST MEETING, WHICH WERE MOVED AS READ AND 2ND BY BETTY BALLANGER. COPIES OF THE AUGUST MINUTES AND THE SEPTEMBER NEWSLETTER WERE DISTRIBUTED TO ALL MEMBERS. – ARTICLE FROM NEWSPAPER ADVERTISING THE CHRYSANTHEMUM AND DAHLIA SHOW FROM THE RBG IN BURLINGTON. MOVED AS READ AND 2ND BY IAN STEEL. PRESIDENT JUDY JEFFERY ASKED MEMBERS TO CONSIDER BEING INVOLVED IN OUR SOCIETY, AS WE WILL NEED 4 NEW BOARD OF DIRECTORS THIS COMING YEAR. KAREN WALTHAM, IN CHARGE OF OUR LOVELY FLOWER BEDS ADVISED THAT EVEN THOUGH OUR FLOWERS LOOK THE BEST JUST NOW, WE WILL BE HAVING A CLEAN UP ON FRIDAY OCTOBER 1, 9:00 A.M., AND TO MEET AT THE DUNNVILLE SIGN AT THE EAST END OF TOWN, CORNER OF LOGAN ROAD AND HWY #3. PLASTIC BAGS WILL BE SUPPLIED. PLEASE BRING YOUR OWN GLOVES, SHOVEL, ETC. PLEASE NOTE THAT IF IT RAINS, ANOTHER DATE WILL BE SET. PRESIDENT JUDY JEFFERY ASKED IF MEMBERS WOULD BE INTERESTED IN BUYING SPRING FLOWERING BULBS, AS SHE CAN SUPPLY THEM AT CLOSE TO WHOLESALE PRICES. PLEASE LEAVE A NOTE IN SUGGESTION BOX AT BACK IF INTERESTED AND THEY WILL BE AVAILABLE AT POT LUCK SUPPER IF INTEREST IS SHOWN. DISCUSSION WAS HELD ON RAGWEED AND JUDY ADVISED TO DISPOSE OF IT IN GARBAGE BAGS, NOT IN COMPOST. SPEAKER: INTRODUCTION WAS MADE TO KAREN VERMEER FROM VERMEER’S GARDEN CENTRE IN WELLAND. KAREN DISPLAYED MANY BEAUTIFUL FALL FLOWER POTS AND A WIDE ASSORTMENT OF ANNUALS AND PERENNIALS THAT SHE PLANTED IN THE POTS. THEIR SECRET IS TO USE ONLY SOILESS MIXTURE WHEN PLANTING. MANY OF THE LOVELY POTS AND DIFFERENT SPRING BULBS AND FLOWERS WERE FOR SALE AFTER THE MEETING. PRESIDENT JUDY JEFFERY EXPRESSED THANKS TO KAREN FOR HER ARTISTIC DISPLAY. REFRESHMENTS: REFRESHMENT HOSTS FOR SEPTEMBER WHERE MAURA COOPER AND MARY VAN OOSTEN. THANK YOU VERY MUCH. WAYS AND MEANS: BETTY BALLANGER REPORTED SALES OF $34.00. NEXT EXECUTIVE MEETING: THURSDAY OCTOBER 14TH AT 7:00 P.M. AT CHAMBER OF COMMERCE. NEXT REGULAR MEETING WILL BE THURSDAY OCTOBER 21ST AT 6:00 P.M. AT GRACE UNITED CHURCH. PLEASE NOTE THE CHANGE OF TIME AS THIS IS OUR ANNUAL POT LUCK SUPPER. PLEASE BRING YOUR FAVOURITE DISH. WE WILL HAVE DENNIS FALLAT AS OUR SPEAKER, YOU WON’T WANT TO MISS THIS!